It’s got REALLY good energy. Sedona is known for its vortexes – geologic sites brimming with natural spiritual energy. It’s CRAZY beautiful. Think back to your favorite city studio for a second… Do you feel closer to self and spirit THERE, or when you’re out and about in nature? Chances are, you’ve experienced a deeper “dropping in” when you’ve practiced in an inspiring place. February in Sedona is beautiful. Surrounded on all sides by wilderness and forest land, an international dark sky city, a very quiet place, Sedona is a master at providing all you need to look and listen within while immersed in nature… the beauty around you so obviously apparent that you find yourself on a path to seeing the magnificence and beauty that exists in everything. It’s basically a YOGA vortex. Sedona has long attracted spiritual seekers of every ilk – 4.5 million visitors a year! 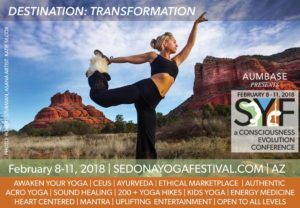 We like to say “What happens in Sedona doesn’t stay in Sedona!” When many souls converge with the intention of uplifting human consciousness, as they do at the SEDONA YOGA FESTIVAL, the resonance of this activity is amplified and distributed – that collective energy is pretty much off the charts. The transformations that occur simply by being on this sacred land are lasting, the individual carries it home, impacting communities all across this beautiful planet. 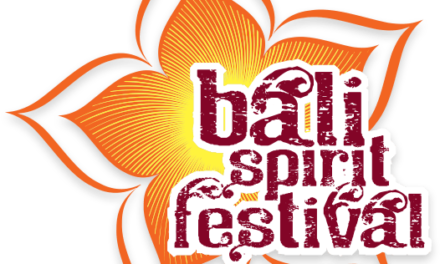 SYF Presenters are selected for their unfailing authenticity and commitment to consciousness evolution. 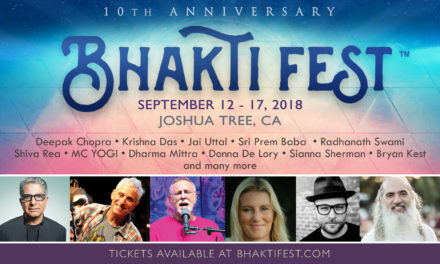 Vanguard teachers of Global Yoga Culture converge alongside new voices to share in dialogue, explore one another’s offerings and collaborate in presenting the most currently relevant ancient material to the attendees. 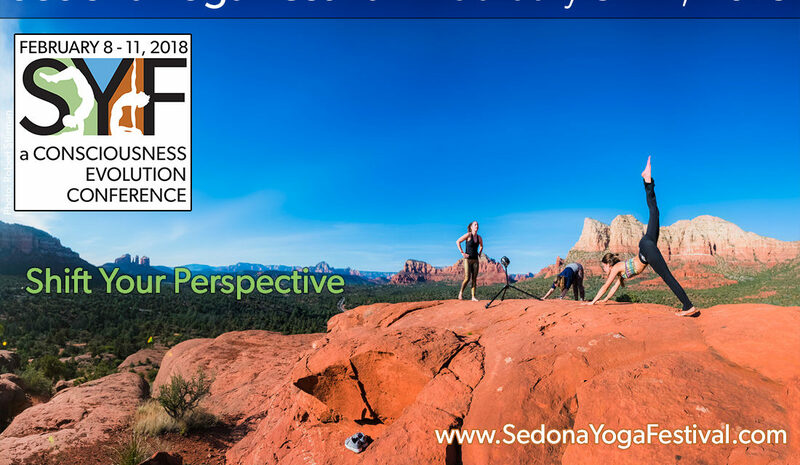 With so many intimate venues in Sedona we have the privilege of hosting over 200 workshop sessions, panel discussions, and guided classes. There is definitely something for you no matter your age, experience level, or style. From absolute beginner to seasoned teacher, SYF is your annual reset, reinvigorate, and inspired destination for transformation. 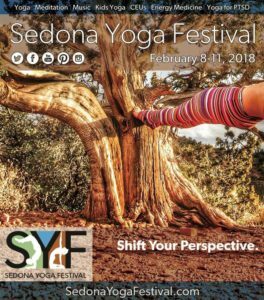 Why should you attend the Sedona Yoga Festival 2018? But seriously—Sedona is always a good idea. And with SYF2018 just 6 days away, we wanted to make sure you were fully aware of the magic that awaits you in our beautiful hOMetown. Sedona is a geological wonderland where stunning red rock formations hold silent vigil over the tranquil town. It’s a place of unimaginable energy and possibility. 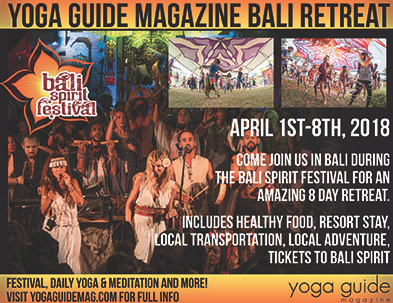 In short: it’s the perfect place to deepen your yoga practice for few days! While the rest of the country is contracted against the cold, we’ll be bound together in radiant expansion: of mind, of body and of spirit. 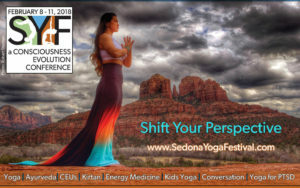 While the classes, workshops and events of Sedona Yoga Festival are truly life-changing, we’d hate for you to come all this way without experiencing the incredible natural wonders that shimmer just outside our doors. So we’ve made sure to include offerings that do just that! 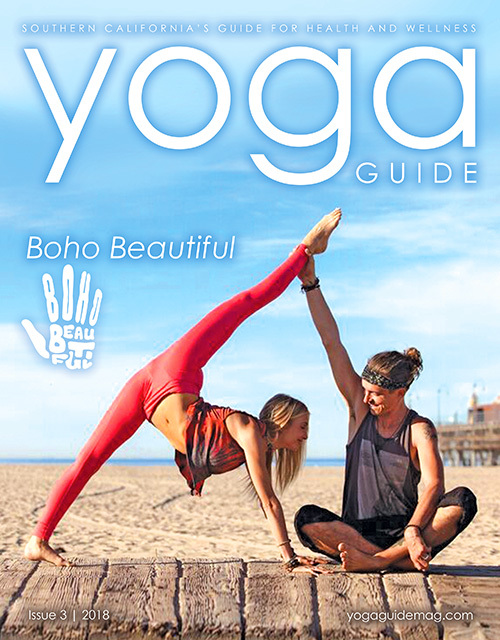 Get your asana in gear…and HERE. It’s going to be AUMazing!